This ice cream is like vanilla ice cream on crack. Or the tangy version of crack, whatever that is. Pop rocks, maybe. Anyway, I made it to go with a Southern-style peach cobbler (in keeping with the Southern theme), but it turned out to be better than just an accompaniment. The ice cream can also take center stage. Around here, we usually have several dessert options on any given day. 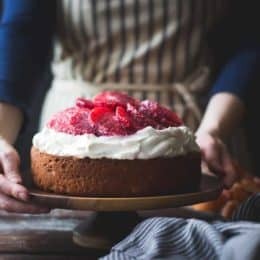 Frequently, there is a new baked good experiment – a pie or tart, a batch of cookies, sometimes a pavlova or shortcake. If that fails, we usually keep a bar or two of fancy chocolate around for postprandial sweet cravings. When we run out of chocolate, we turn to the freezer, where there may be a jar of ice cream, a popsicle, or a sandwich tucked away. It’s a rough life. 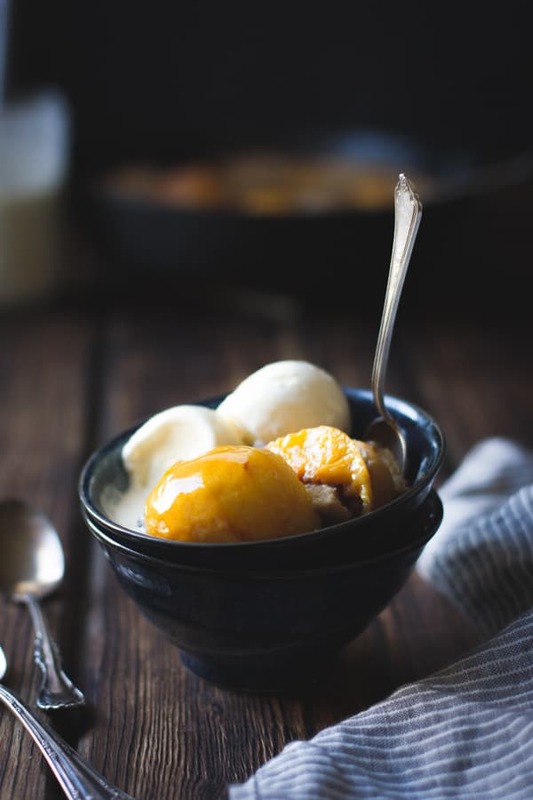 Lately though, our nightly dessert has been this ice cream, either melting atop a scoop of peach cobbler, or topped with fresh blackberries. 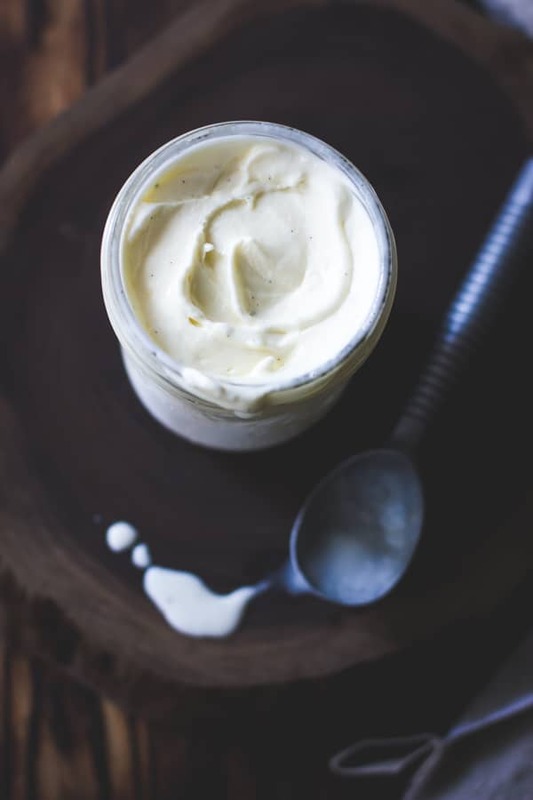 It is versatile, like regular vanilla ice cream, but taken up a notch with tangy buttermilk. 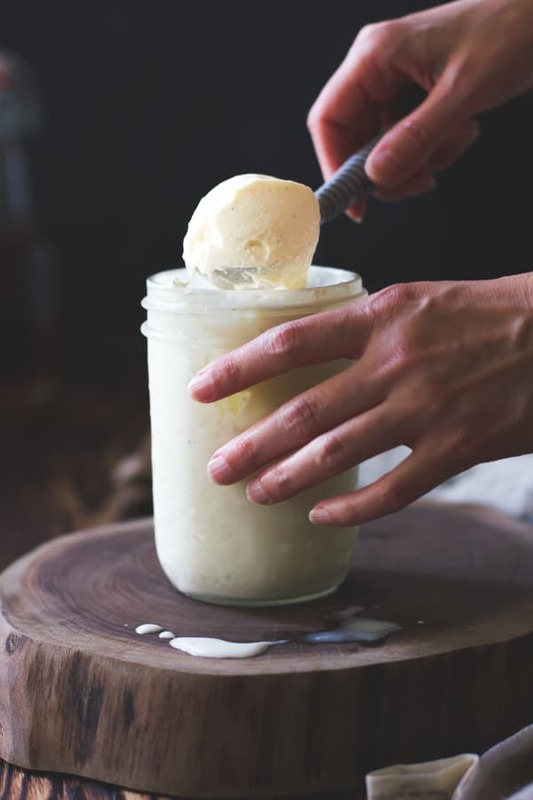 I’ve tried several buttermilk ice cream recipes over the years, but none really did it for me. 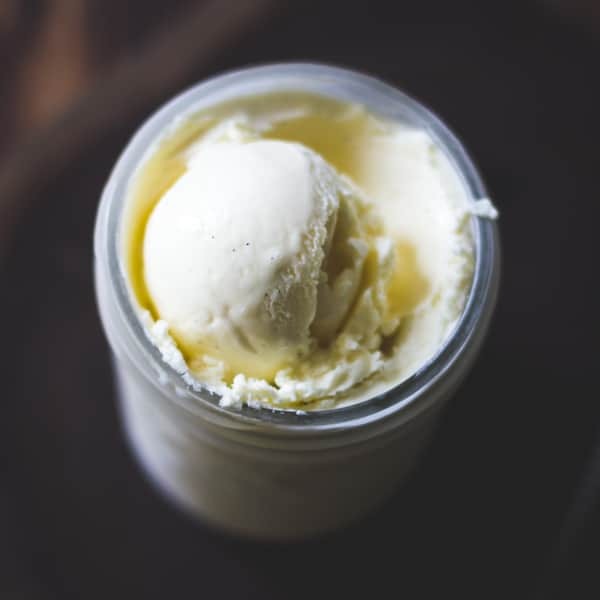 I wanted a clean-tasting ice cream, rich from a custard base yet fresh from tangy buttermilk. I don’t know why it took me so long to adapt this one from my favorite vanilla ice cream recipe, but I’m glad I did, as the result was just what I’d been looking for. The buttermilk around here is all low-fat, thus lightening up this ice cream a bit. Yet ample cream, sugar, and egg yolks keep it rich and creamy. I made a second batch yesterday in order to photograph the process, and while I usually dread having too many sweet leftovers from blogsperiments, I get a thrill every time I open the freezer to see two jars of this stuff staring back at me. 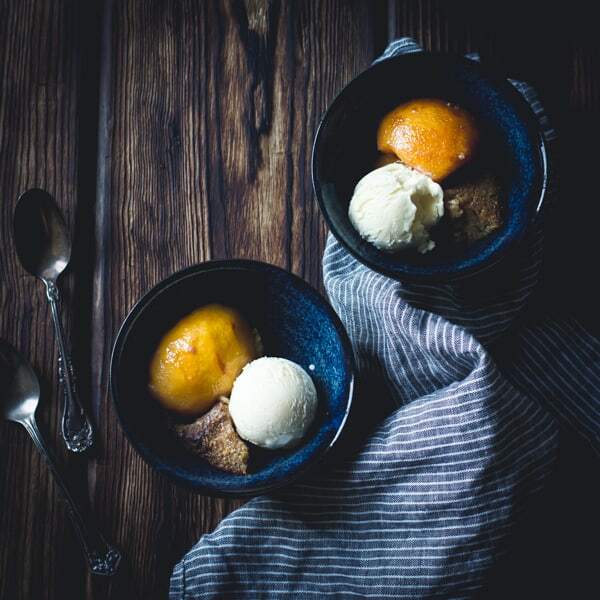 This ice cream will be creamiest if the base is allowed to chill for 4-24 hours prior to churning, but you can stick it in a metal bowl over an ice water bath to chill it quickly if you’re in a hurry. 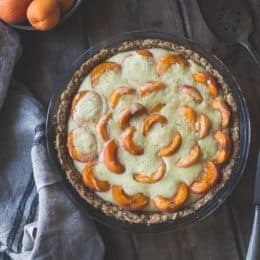 Serve it with any fruit dessert (Peach Cobbler, for instance), or with fresh berries. 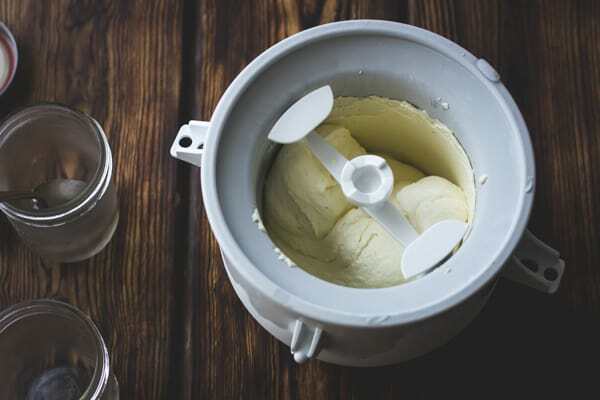 I love my Kitchen Aid ice cream maker attachment, which uses the motor of a stand mixer to do its dirty work, and stays out of the way in the freezer until I need it. 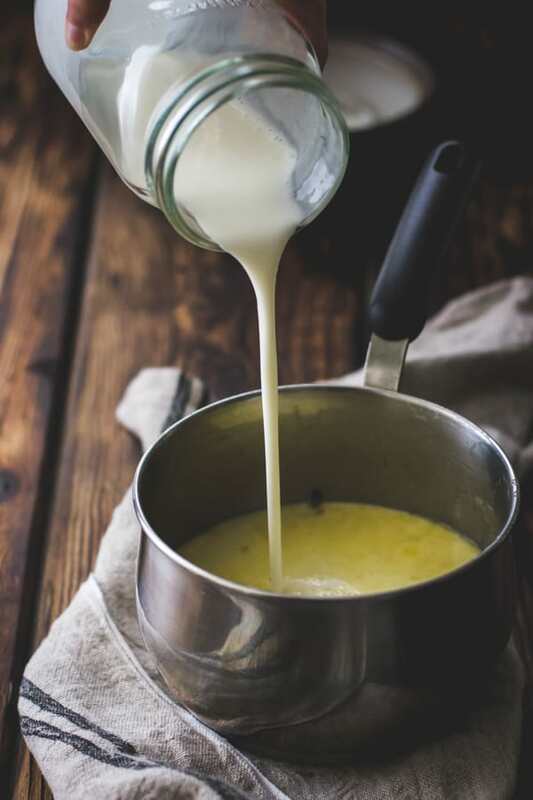 In a medium saucepan, combine the cream, vanilla pod and scrapings, sugar and salt. Bring to a bare simmer over medium heat, stirring frequently to dissolve the sugar. Cover and steep 20 minutes. 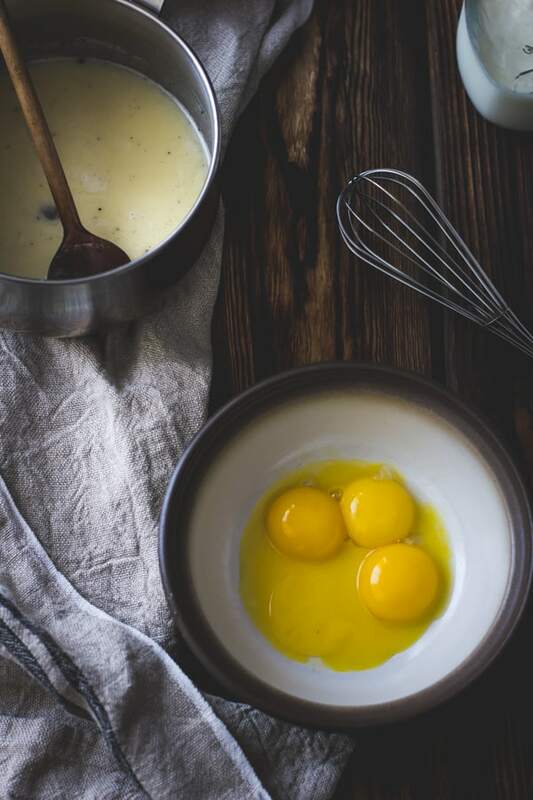 Meanwhile, place the egg yolks in a medium bowl and set the bowl on a damp kitchen towel. Measure out the buttermilk and have it by the stove. 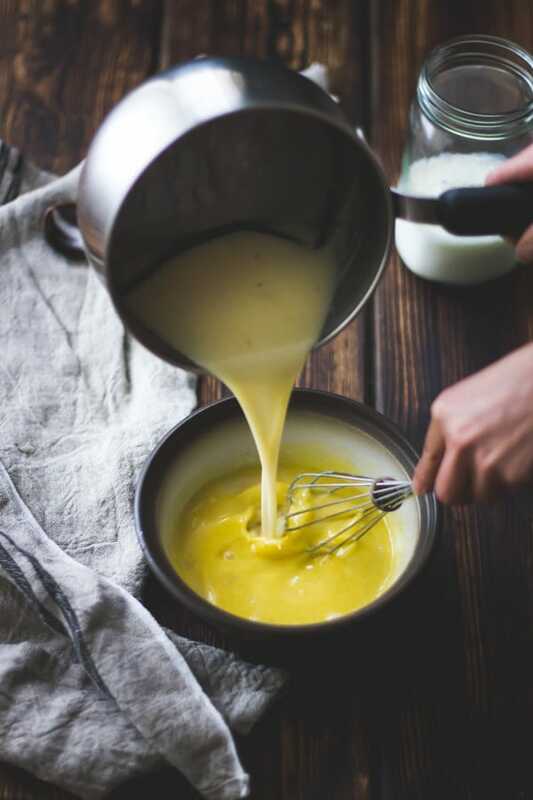 When the cream has steeped, drizzle it slowly into the egg yolks, whisking constantly. Return the mixture to the pot and cook over a low flame, stirring constantly with a heat-proof silicone spatula, until the mixture thickens slightly, begins to “stick” (form a film on) the bottom of the pan, and/or registers 170ºF on an instant read thermometer. Immediately stir in the buttermilk to stop the cooking, then strain the mixture through a mesh sieve and into a bowl or jar. Cover and chill the mixture until very cold, at least 4 hours and up to 2 days. 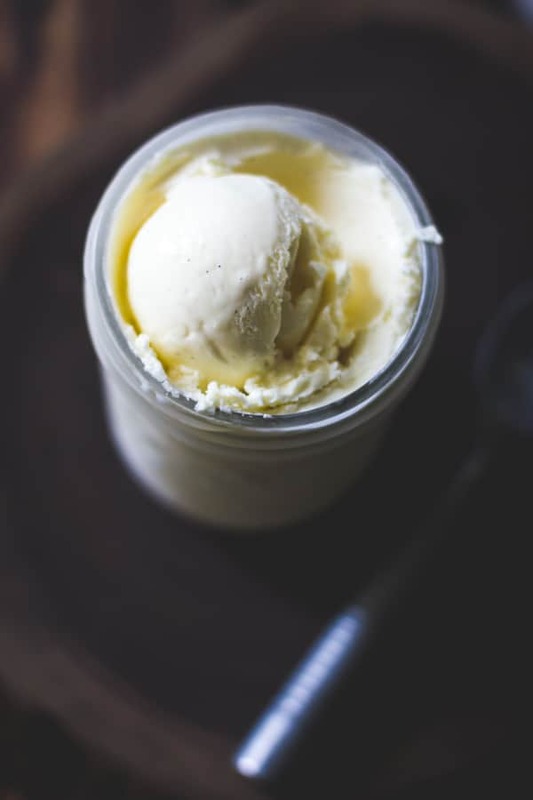 Churn the mixture in an ice cream maker according to the manufacturer’s instructions, then scrape into a container and freeze until firm, at least 2 hours. 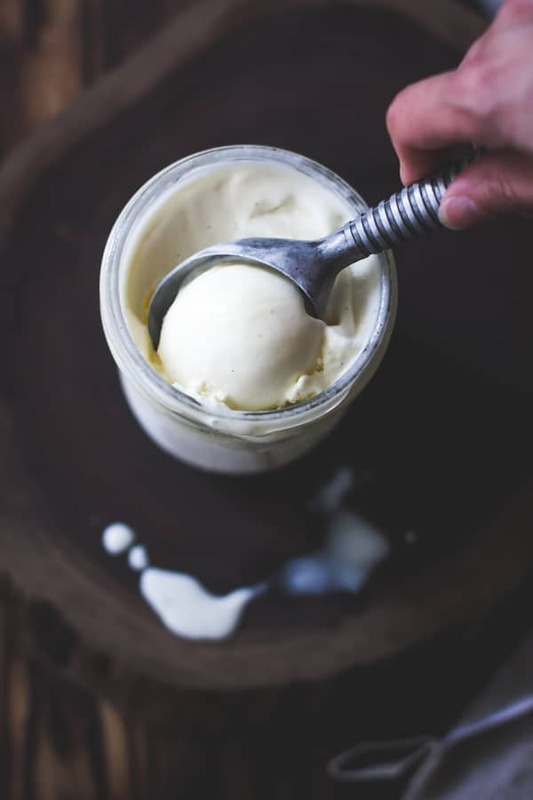 The ice cream is creamiest within the first week of churning, but it will keep in the freezer for up to a month or two. Store it airtight with a piece of parchment paper pressed directly to the surface to prevent ice crystals from forming. Yum! I love buttermilk ice cream! Your photos are gorgeous! I am inspired….as always! This looks so so good! Love the tanginess of the buttermilk. Also, this post was a good reminder to make a cobbler. It's not a thing I grew up with so I easily forget about it. Sad, I know. Thank you, Sini! I did have a lovely labor day, and I hope you did as well, and that it was filled with cobbler. I couldn't agree more! (See my rant on my Dreamy Vanilla Ice Cream post ;)). Hm, I've tried several combinations of olive oil / salt / ice cream, but never that one – I'ma get right on that! I made a buttermilk ice cream earlier this summer, during blueberry season, to go with fresh blueberry pie. IT IS SO GOOD!!! Sadly, I've given up sugar for at least a month, but will file this recipe away for a special occasion. Hi! I've never met an Alannah before – thank you so much for stopping by! 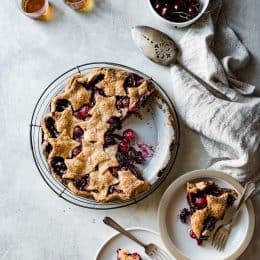 Now I'm seriously craving blueberry pie. Good for you for giving up sugar for a bit – that's not an easy feat and I applaud you. Hope you get some yummy sugar-less treats. Your blog is lovely, and I really like your writings. Croissant lessons? Stop! Where do I sign up? P.S. 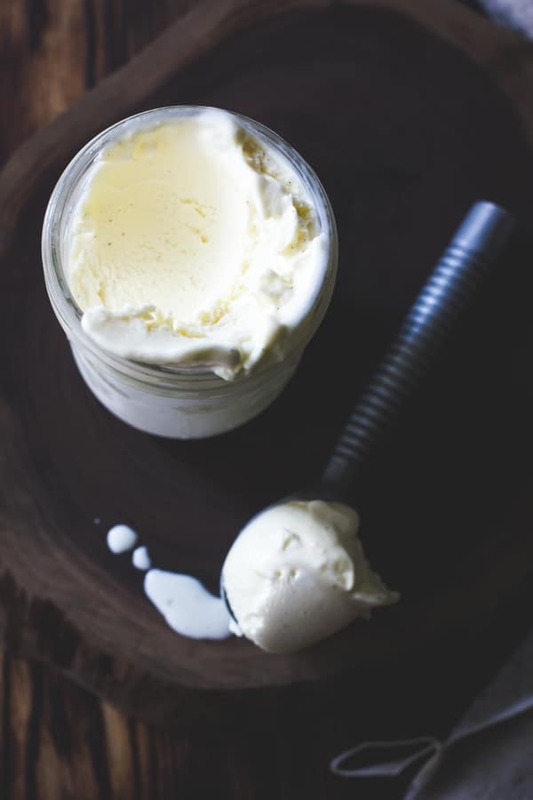 – Love buttermilk ice cream! Fabulous! My new favorite ice cream! This recipe is delicious and so easy to make. Thanks! Yay!! I'm so glad you like it – thanks a bunch for the kind note! I made this today. Turned out perfectly and delicious. Definitely going to be a favorite go to ice cream recipe. I added passionfruit towards the end. This complemented the subtle tanginess of the ice cream base.